Spring has arrived, which means real estate season is upon us. 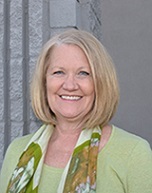 When selling your home or property, attracting full price offers is always top priority, and a properly staged home can be your number one asset in drawing as many offers as possible. Here are staging tips to help you prepare your home for the market. It's the first thing buyers see, and most likely serves as the first impression of your house. Utilize the entry by updating the front door color, change out the door hardware (or clean and polish the current hardware). Make potential buyers welcome with a nice mat and some potted plants or flowers. The majority of us have too much stuff, and clutter is a huge killer for potential buyers. Be ruthless when it comes to clutter -- if you haven't used it in three months, box it up. If you haven't used it in a year, sell or donate it. Go one room at a time. It's ok to have empty space. If you can't part with something, get creative on how to store it. Rolling bins that fit under beds are perfect for hiding items and getting things out of the way. 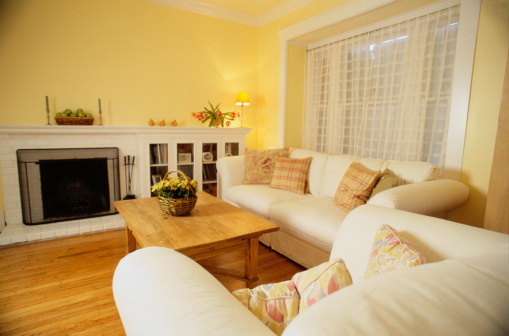 Too much furniture will also make a home look cluttered and smaller than it is. You want to create space – ask what you can live without. Every square foot is prime real estate. Once you've moved out the clutter, turn to the remaining furniture. Furniture doesn't need to be pushed up against walls. Moving and floating pieces can help rooms look and feel bigger. Try moving pieces around, even from other rooms, but remember to keep the perimeters clear with clear pathways. 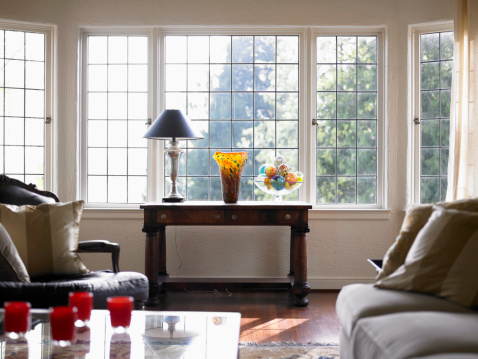 Natural light does wonders for a home and makes rooms more inviting. Take down heavy drapery and replace with gauzy and airy fabrics. If you have views, play them up! Look into roman shades, which help with privacy but also let light in. Simple curtain panels made from airy fabrics like cotton twill or translucent linen will let the light in during the day and still help with privacy at night. Do you have a designated junk room? Re-purpose rooms that have lost their identity. Most designers look at junk rooms and envision fantasy spaces: an exercise room, meditation space, art studio, etc.. Re-purpose a clutter/junk room into something that will add value to the house. Also consider loft spaces, stairwell nooks and other areas not utilized or gathering dust as possible areas for increased space. Many homes are poorly lit, making rooms too dim or harsh on the eyes which can deter buyers when they walk into your house. Try to aim for a total of 100 watts for every 50 square feet. 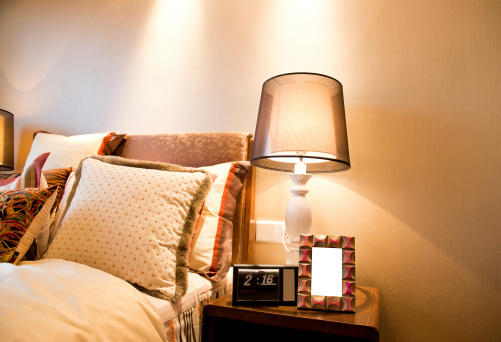 Don't be afraid of dimmers, and replace light-switch covers that are old, dingy or broken. Uplights also help add depth to a room, especially when positioned behind a plant or piece of furniture. Color on the walls or as an accent can really make a room pop. Painting is an inexpensive and easy way to give your house a new look. Neutral colors don't mean beige or off-white; warm tans, honey and soft blue-greens all attract the eye and help to make a room feel warmer without going overboard. Accent walls can also add a burst of color. If painting is too daunting, add richly colored accessories, pillows and throws for subtle bursts of color. De-cluttering is important, but so is playing up what you have in your house. Adding art to a drab wall can also add character to a room. Try breaking up the art by patterning and grouping pictures or images together. 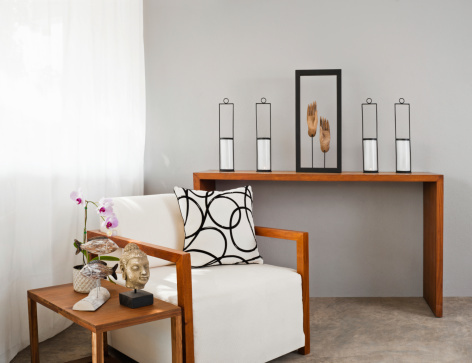 Add a small touch by accessorizing your room -- layer accessories in threes, with varied heights and widths. The eye naturally reads a room from left to right, so adding a large or striking object in the far right corner will draw the eye to it and make the room seem bigger. Another accessory not to be overlooked: plants. A vase of fresh flowers, branches, twigs or greenery will add depth and character to a room.